Theo’s a single dad who really doesn’t have time for relationships between sharing parenting duties with his son’s mom and working as any parent especially any single parent knows there isn’t a lot of time left in the day…mind you that doesn’t mean that he wouldn’t like a relationship, but Theo’s not a hook-up kind of guy and it’s hard to find someone who wants a relationship when you’ve got a 4 year old, so when he starts chatting on-line with a guy named Luke putting it out there that he’s a dad logically doesn’t seem like it should be the first things he tells Luke about himself. Not that he’s not going to tell him but maybe he could just give them a little time for Luke to find out some other stuff about him first. This would all work well if Luke wasn’t working as Santa at the local shopping mall…the mall where Theo takes his adorable son to see Santa and this is where things get awkward. Theo’s got a secret and Luke knows but Theo doesn’t know that Luke knows and Luke really likes Theo so he’s sure that if they can just get through the holiday everything will sort itself out and maybe Theo never needs to know that Luke accidentally found out his secret…awkward moments so many awkward moments and I loved them all. I’m not normally a fan of miscommunication type stories but this one was definitely an exception. Theo and Luke are so new to each other and each of them end up having a secret but there’s no malice or bad intent as to why they each have a secret and much of their awkwardness came from this. The awkwardness between them both in person and when they were texting while at times it had me rolling my eyes in it’s own way it also felt natural…Theo and Luke have just met, they’re getting to know each other and because they’re each keeping their own secret at times they’ve put themselves in a position where they’re not sure how interpret what the other person is saying. I remember back in the day when I was first dating my husband having a phone conversation or two like this where one of us wasn’t quite sure what the other was really trying to say or not say and sometimes things got stilted and awkward and not because one or both of us wasn’t interested no it was more a case of that like Theo and Luke, we were interested and found ourselves being very cautious because things were new and we really liked each other and wanted to be care not to say something that would scare the other person away before we had a chance. So maybe the reasons were different but at times our behavior was for me really reminiscent of how Theo and Luke were at times. Don’t get me wrong this was not an over the top, angst ridden story. Theo and Luke trying and chatting…so maybe some stilted and awkward conversations but the end result was awkward or not they led to more communication and honesty. 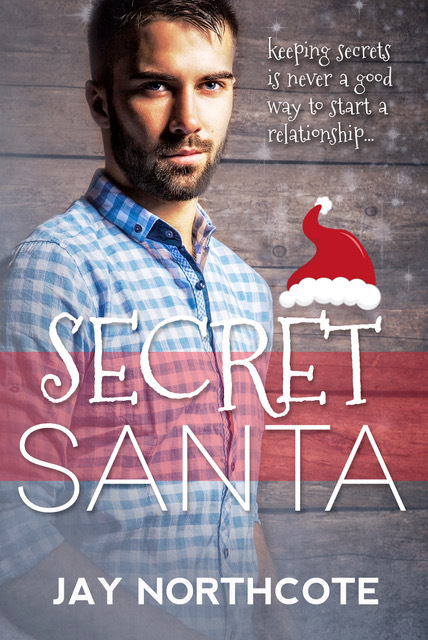 ‘Secret Santa’ is a sweet, low angst story about two ordinary guys who unknowingly have the same Christmas wish. A wish just needs an open, honest conversation and a little bit of Christmas magic to come true. A lovely story to warm the heart on a cold Winter's day.